The school has six hostels accommodating a strength of 528 cadets. The Jhelum house is the holding house and accommodates new entrants of class sixth every year. Rest of the cadets are allotted one of the five houses namely Beas, Chenab, Ravi, Satluj and Yamuna with healthy competitive environment. Cadets Mess of the school has two dining halls with a seating capacity for 550 cadets and having space for anteroom in one of the halls. Adjoining to dining hall is a kitchen and school bakery, both are run on smoke/pollution free LPG. 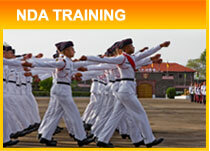 There is a cafeteria and CSD canteen to cater to the requirement of the cadets.